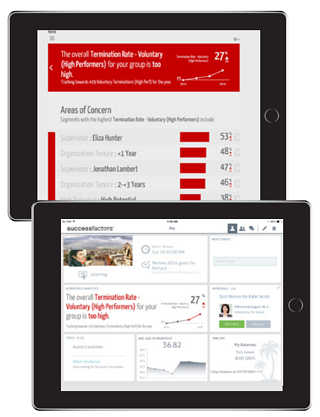 A complete core HR system of record in the cloud. In today’s global workforce, HR solutions must be flexible and extensible, and they must support local and global compliance needs. These solutions must be able to work based not on a solution provider’s rigid requirements, but on your organization’s business drivers. 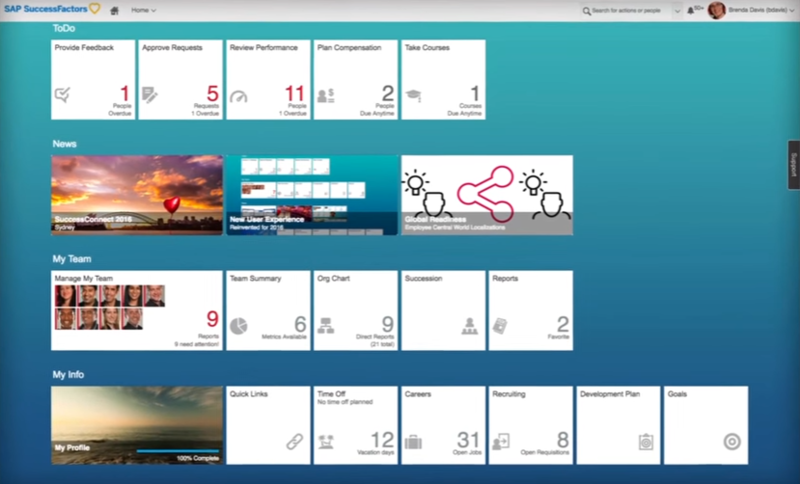 SAP SuccessFactors Employee Central is a complete, cloud technology-based core HR system of record that combines HR transactions, processes and data with social collaboration features and mobile functionality. It is standards-based, flexible technology, so you can deploy it in your organization at your pace. It is highly configurable to your business processes and adaptable to changing business needs. Top performing payroll organizations process payroll at a 37% lower cost than standard organizations. Organizations can’t afford to operate with outdated, inefficient payroll processes. 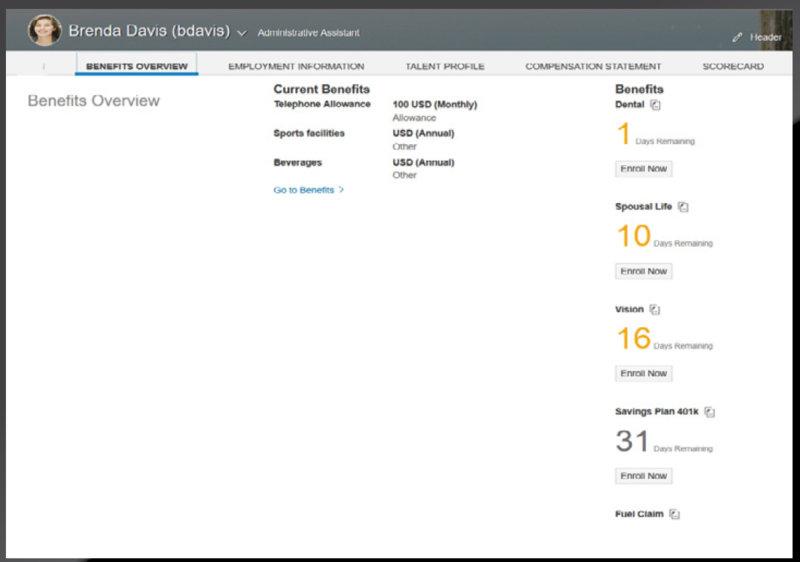 SAP's global payroll solution is available as a hosted option that comes integrated with Employee Central. With SAP SuccessFactors Employee Central Payroll you automate and accelerate processing, reduce risk, and simplify payroll management. Employee Central Payroll is a revolutionary – combination of proven technology, latest innovations, and service delivery in a solution that represents the next generation of payroll process automation. To manage a global workforce, you need a time management solution that can manage absence policies, accruals and time-off requests. 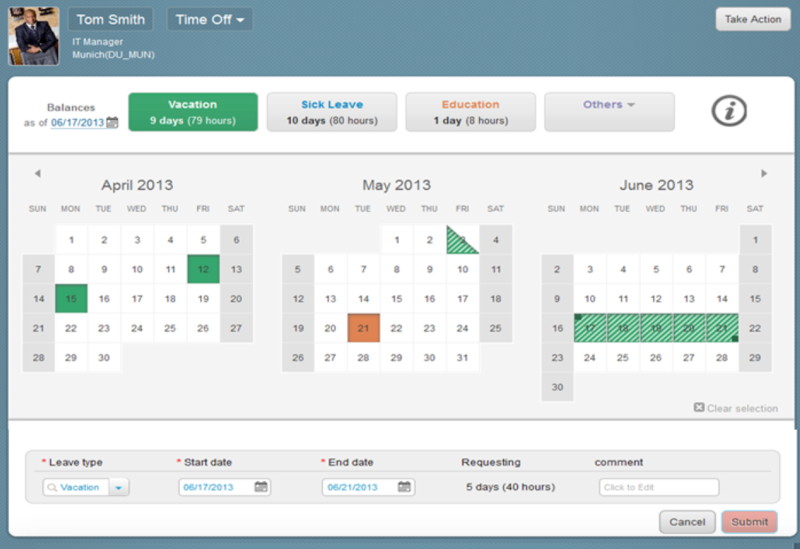 Employee Central is delivered with time management functionality that supports Time off Requests and Payroll Time Sheet. HR Managers can define time accounts, manage work schedules, calculate accruals and overtime rules and stay on top of employee leave requests. All with a consumer grade user interface and with reporting capabilities. Philippines, 401(k) plans in the United States, and home insurance in Colombia— which is critical if these benefits are provided in your location. Workforce Analytics provides concrete and actionable insights on workforce data to drive your business strategy today and help you plan for the future. It helps increases the effectiveness of HR through a comprehensive library of more than 2,000 standard metrics, industry benchmarks, and HR best practices that help measure the things that matter. You can also benefit from Workforce Planning, which allows you to conduct sophisticated workforce modeling, create visibility into critical resource gaps, and define HR strategies today to insure your readiness for the future. Often, organizations are told they need to “rip and replace” their entire solution in order to implement a new core HR system. But SuccessFactors is different. You really can address your pain-points first. Plus, each solution can be used alone, or be seamlessly used together to form a comprehensive HR and talent solution. As the leading cloud-based HCM Suite, SAP SuccessFactors helps more than 6,000+ customers, and 45+ million cloud application subscribers, across more than 60 industries in over 177 countries.